Odisha State Road Transport Corporation has published the OSRTC Recruitment 2018 for the Assistant Transport Manager, Assistant Station Master, Mechanical Helper, Tyreman, Assistant Foreman vacancies. So, the candidates can check the OSRTC Openings 2018 details from this article. We have provided the application form, post-wise jobs, eligibility criteria and more information related to the OSRTC Recruitment 2018. The online applications will be available on OSRTC website that is osrtc.in. The end date of the application process is on 23rd August 2018. Therefore, the aspirants need to cross check all the details from this post. At the last of this page, contenders can find the Steps to apply for the notification. We have also attached an OSRTC Recruitment 2018 Notification at the bottom of this article. The authorities will shortlist the applicants for the written test based on the submission of the applications. If the details provided by the aspirants are incorrect, then the higher authorities of the Odisha State Road Transport Corporation will reject the requests. Therefore, all the individuals need to gather and check all the information without fail. In addition to this, the candidates can get all the information about the notification from this post. Candidates have to submit OSRTC Recruitment 2018 with the right information before the last date of the registration process. After submitting the application by the candidates, the officials will check all the details. If they found any misprints, then they will keep the form in the hold. Therefore, the aspirants need to check the details of the OSRTC Recruitment 2018. All the applicants can know the important dates of the OSRTC Recruitment 2018 from the below section. In addition to this, the participants need to verify the date of the verification of documents. For more latest updates stay tuned with our website Sarkari Recruitment. Assistant Transport Manager: B.A./B.Sc./B.Com. having three years experience in any recognized board. Preference will be given to aspirants having M.B.A qualification in Transport/ Financial Management and Law. Assistant Station Master: Graduate in any discipline from a reputed university. Mechanical Helper: I.T.I Certificate of the trade Diesel/ Motor/ Mechanic/ Electrical/ Welder/ Blacksmith/ Carpenter/ Painter/ Upholsterer/ Fitter/ Certificate with minimum qualification of 10th Class. Assistant Foreman: Diploma in Automobile Engineering with one year of practical training in an Automobile workshop of repute. Preference will be given to the applicants having higher qualification and experience. 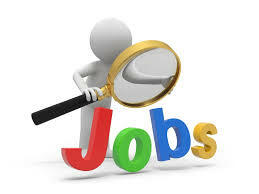 The application fee for the given vacancies is Rs.1000/-. Assistant Transport Manager, Assistant Station Master, Assistant Foreman – The minimum age limit is 21 years and the maximum age limit is 32 years. Mechanical Helper – The minimum age limit is 18 years, and the maximum age limit is 32 years. Tyreman – The minimum age limit is 18 years, and the maximum age limit is 40 years. The Odisha State Road Transport Corporation will conduct the written test and then the qualified aspirants will be followed by the Viva-voce. Assistant Transport Manager, Assistant Foreman – Rs.9300/- with Grade Pay of Rs.4200/-. Assistant Station Master – Rs.5200/- with Grade Pay of Rs.1900/-. Mechanical Helper – Rs.4860/- with GP Of 1900/-. Tyreman – Rs.4750/- with GP of Rs.1500/-. Application Process Starting Date: Started. Application Process Closing Date: 23rd August 2018. Visit the official website of Odisha State Road Transport Corporation, www.osrtc.in. Check the recruitment notice in the homepage. Click on the OSRTC Recruitment 2018 link. Now the application form will appear on the screen. Fill the information in the specific format. Along with the application form need to attach the required documents.